Smartphones and tablets continue to flood the workplace, and businesses everywhere are racing to appropriately regulate and manage these mobile devices. To support today’s bring-your-own-device (BYOD) movement, you’ll need a mobile device management (MDM) solution that keeps your employees happy – and keeps you in control. 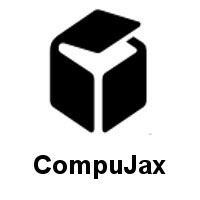 CompuJax’s MDM is an affordable, easy-to-use cloud platform containing all of the essential functionality for end-to-end management of today’s mobile devices. With MDM, you can provide users with fast and secure access to corporate data from their personal devices. And with the industry’s broadest device support, intuitive workflows, simplified deployment options, and advanced management and security features, we make BYOD simple.